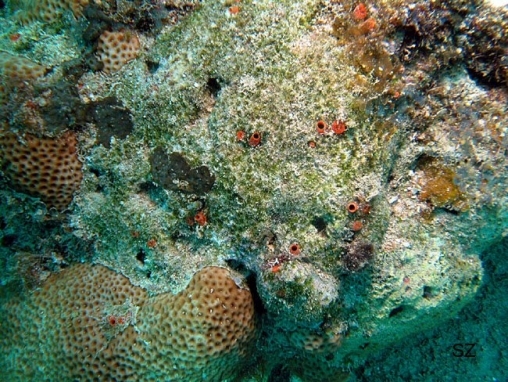 A deeply excavating and burrowing sponge whose only visible parts are its small, orange papillae (small, isolated pieces of tissue containing oscules or pores, which are interconnected to each other under the surface). 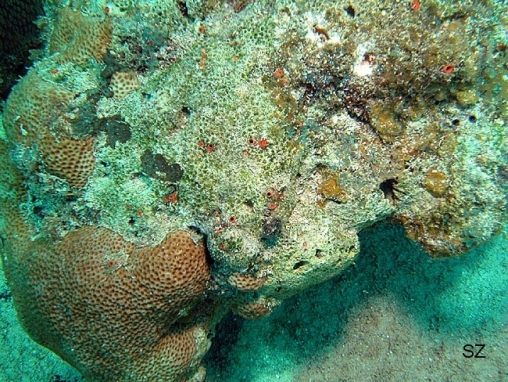 It is most often seen in the dead undersides or lower portions of foliose or flat branching corals, or on dead surfaces of massive corals. 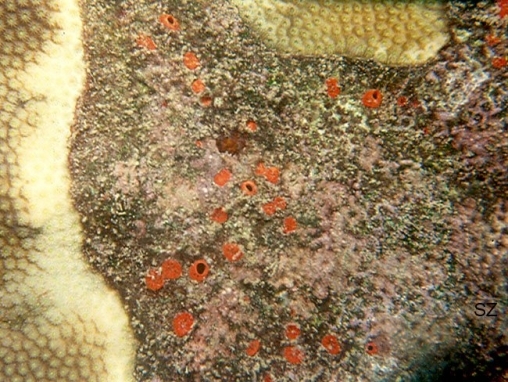 Young individuals of Cliona delitrix, with which C. laticavicola may be confused, usually do not consist of groups of scattered papillae, but of a single, larger patch, made of one or more large oscules with a high fleshy collar, surrounded by low-lying papillae, all connected with surface tissue.